Tampa, FL, USA (July 9, 2014) – Busch Gardens Tampa’s newest live stage show Opening Night Critters takes the stage this summer in Pantopia Theater. 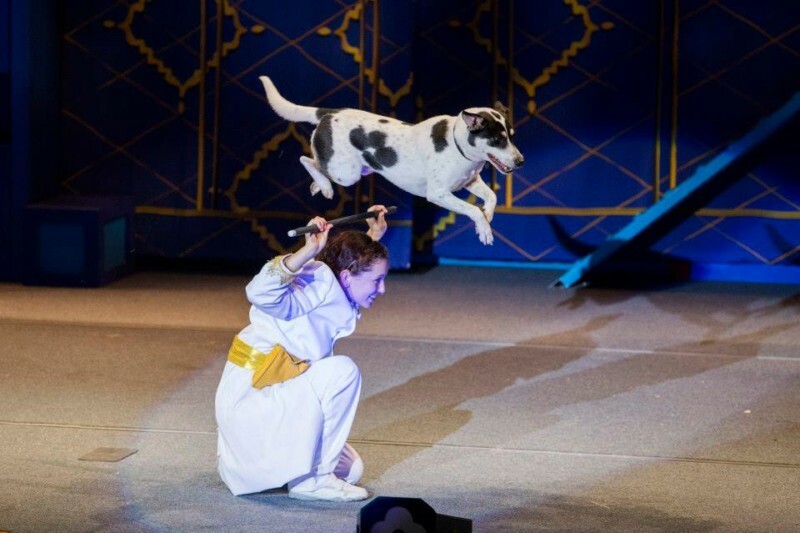 Featuring rescued domestic and exotic animals, including dogs, cats, birds, a horse and a kangaroo, among others, this theatrical tale follows a couple of stage hands as they haphazardly find themselves in the spotlight as the human stars in an all-animal production. The stage hands quickly discover that working with these animals isn’t as easy as they had originally thought. Try as they might, they can’t get their costars to cooperate and when nearly all hope is lost, their kindness and compassion is rewarded when everything falls into place for a fun-filled, furry and feathered finale. In addition to Opening Night Critters, guests can guests can take advantage of extended park hours until 9 p.m., special entertainment, high-energy DJs and the thrill of riding world-class coasters in the dark during Summer Nights. Now through Aug. 17, Busch Gardens amps up the excitement with fan favorites like the energizing acrobatics show Kinetix and fireworks every night. New in 2014, Gwazi Park heats up with Saturday-night concerts during Summer Nights. In addition to pop, R&B, alternative and Latino music artists, guests can indulge in summer-favorite grilled food items and a selection of craft beers.